I am saddened to learn the passing of the great World leader, who contributed immensely in changing the face of Africa and the world in so many levels. As a Liberal Demcrat, I will remember him for his dedication to the cause of human rights and dignity. Kofi Annan died on 18/08/2018. And his final farewells was on 13/09/2018 in his home country, Accra, Ghana. 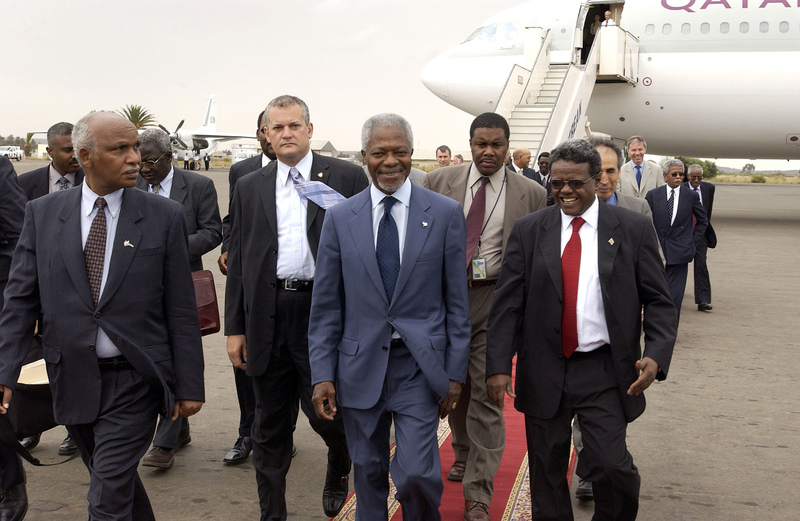 The Secretary General arrives in Asmara, Eritrea today. He visited UNMEE HQ and met with the staff. He inspected guard of honour at UNMEE HQ. Saluting behind him is the force commander. As an Eritrean, I will remember your great contribution in the peace agreement happened between Eritrea and Ethiopia during for the border war.